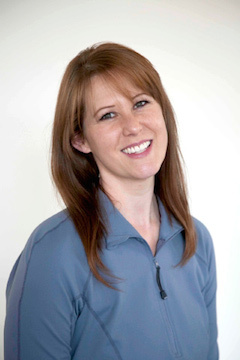 Danielle believes in the power and the joy in movement.A professional dancer and choreographer, she trained to teach Pilates after realizing how her own Pilates lessons improved her performance. She graduated from a rigorous comprehensive program with Lori Coleman-Brown in 2003 and she’s been teaching full-time since. She has remarkably loyal clients who respond to her positive and results-oriented style. 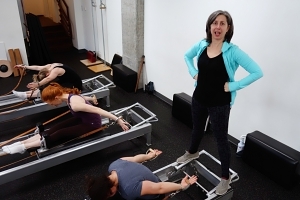 I’m a Pilates instructor because I love to move, and I love to help people figure out how to move better, from their center, with strength and balance. I truly believe Pilates is good for every body, whether the goal is to compete in athletics or simply walk the stairs without pain. In addition to Lori Coleman-Brown, Danielle has studied with a lot of great teachers over the years, including Romana Kryzanowska, Sari Mejia Santo, Jay Grimes, Dorothee VandeWalle, and Jodi Stolz. 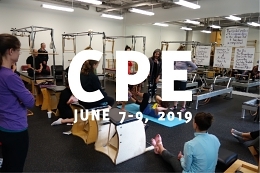 She continues to refine and develop her teaching through annual Pilates continuing education, workshops, anatomy classes, and study of the brain-body connection and related topics.